Hello Modern Irish Quilters! Want to share? 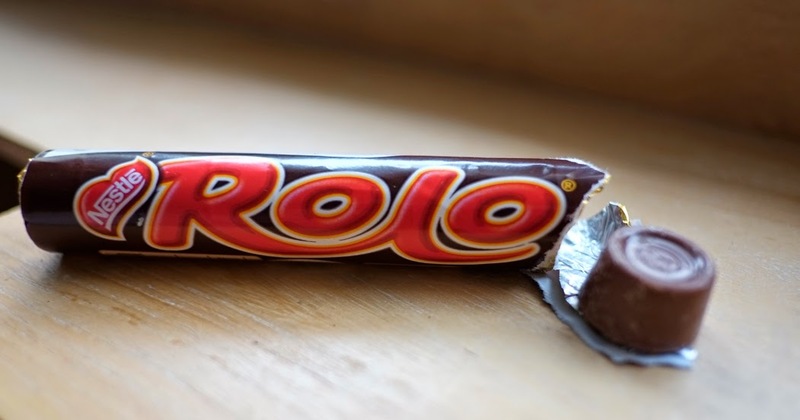 Disclaimer: Some Rolo's were consumed in the writing of this blog post! I know it's meant to be your last Rolo but I needed the wrapping intact for the photo, but you get the idea! Some of the goals of the MQG are Community, Connection, Friendships and we have lots of online forums for sharing. There's our Facebook page, Flickr group, some of us are addicted to Instagram, while others prefer to Tweet! Thinking about how we could increase our opportunities to connect with each other how about doing some of these? Interested in a Monthly Show and Tell? Wouldn't it be a great way to share what we are all working on? We could add photos of Works In Progress, Blocks, Finished items, Fabric pulls etc to our Flickr group. Join our group here and when uploading a photo click to add to group. Our Flickr group photos and blog posts go to Facebook automatically! If you prefer to use Instagram, upload and add the hashtag #modernirishquilters. I'd love to do a monthly Show & Tell Mosaic on the blog! The above are some of the lovely projects on our group page from the last few months. You do need to have a Yahoo account now to log into Flickr. It only takes a few minutes to set one up but if you prefer Facebook that would work too! Anyone find a great bargain or make a really cool fabric purchase? Spread the joy! We'd love to hear about it. Find a great tutorial for something we could all benefit from? Again Instagram or Facebook would be perfect for this! Tag with #modernirishquilters or post to the Facebook page. Wouldn't it be great if we could create a directory and promote our talents? Cindy has offered to create a resources page for the blog. Any members who run a shop, teach quilting classes or even take commissions for made items please get in touch. Give us a link to your shop, Facebook page, blog or space on Etsy. We'd all love to spread the word and maybe do a bit of shopping ourselves! 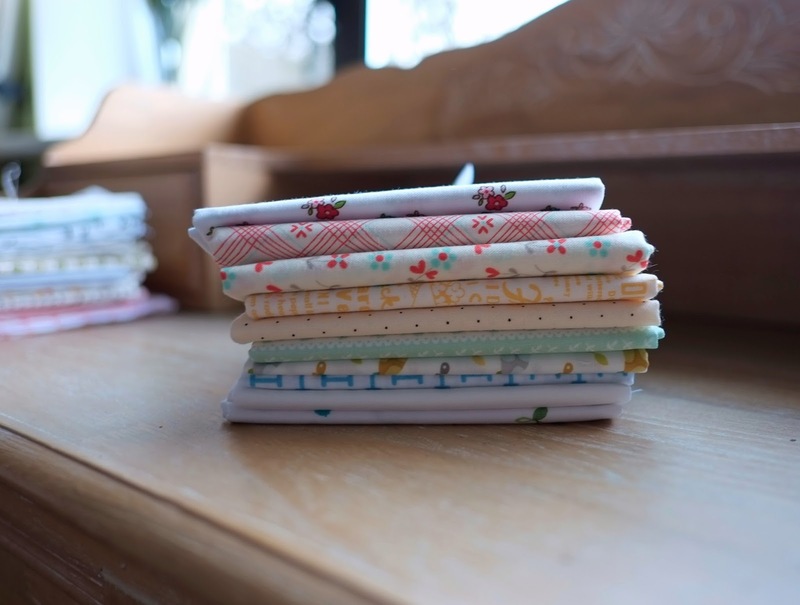 We'd love to do a blog post and feature a member if anyone is interested in shoing us their shop or sewing space. Those of us who blog for no other reason than to blog don't feel left out. Leave a comment or send an email and we'll update the members blogs info so we can all have a blog hop and see what's happening in our community. Now I know it would be impractical to swap books but if you guys are anything like me you probably have a bulging bookshelf with books and magazines spilling off the coffee table, well thumbed through and lovingly kept for just in case! We'd love a book review, even if it is only a few sentences. Tell us what book we should buy next! 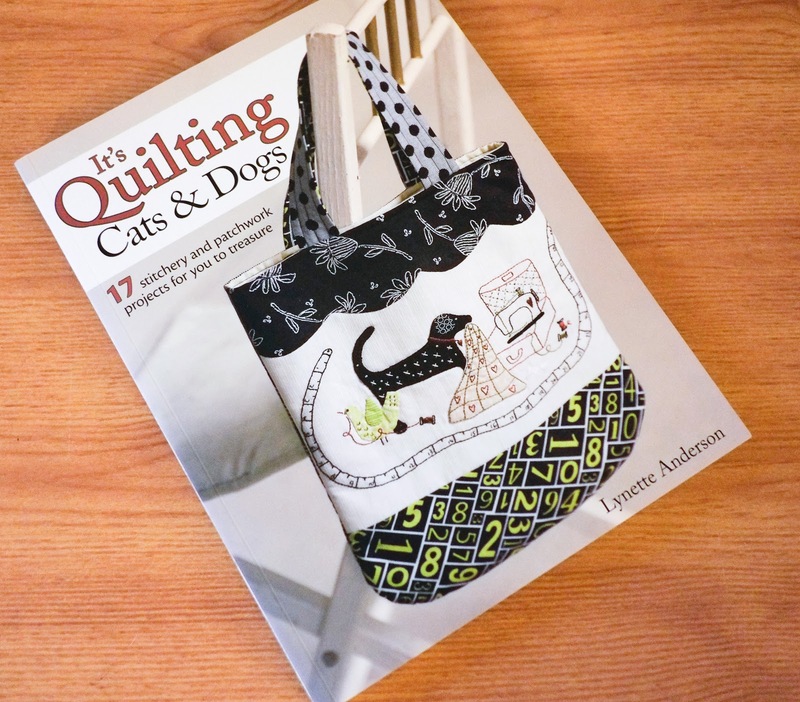 It could be as simple as a Facebook update, take a photo of the book or item made or inspired from the book and upload to Flickr and we could feature it for a blog post! Finally if there are any upcoming exhibitions in your area that you think would be worth a visit please let us know. 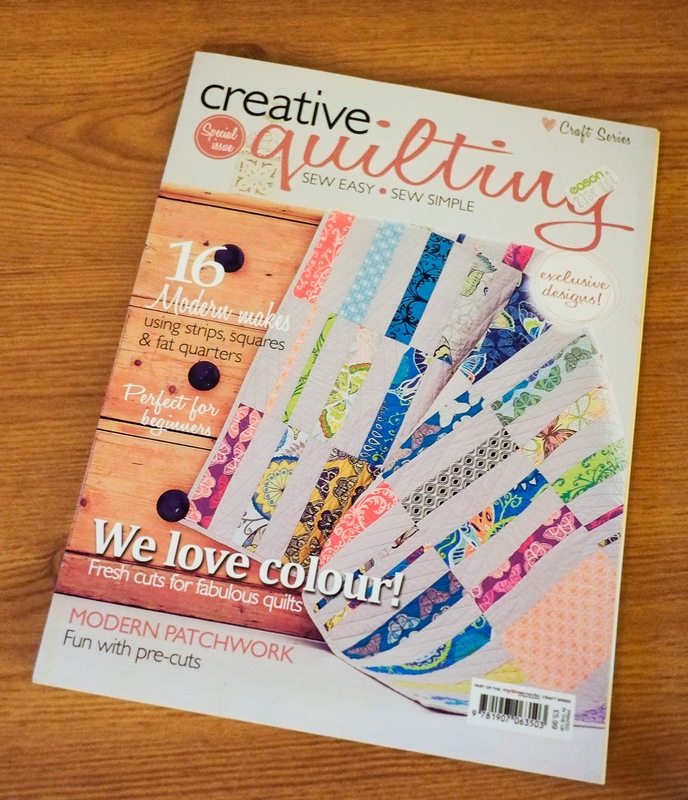 There are some national exhibitions coming up in July and August that we will post a reminder for but for this moment keep an eye out on Sew Mama Sew on the 12th May for her big giveaway day. Lots of blogs will be offering freebies that you may be in for a chance of winning, usually by leaving a comment. 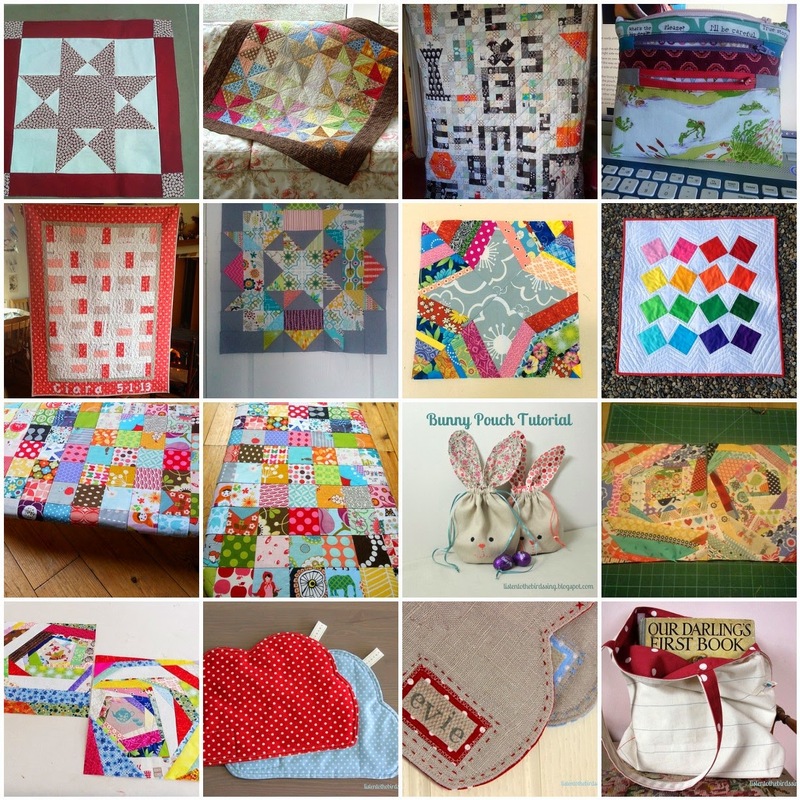 Blogger's Quilt Festival at Amy's Creative Side starts on the 16th with lots of categories of quilts to browse and voting opens on the 23rd for your favourites. Anything else you guys would like to see? Please let us know and we'll do our best to include in upcoming posts. Liz and Fiona have already given us a wonderful post each and we look forward to sharing more in the coming months in addition to our regular posts from Cindy on Bee Blessed and Modern Irish Bee!